Looking for a fun Halloween treat? This delicious Candy Corn Halloween Bark is so easy to make and perfect for your next Halloween party! I know, I know…somebody just needs to take the candy corn bag away from me. 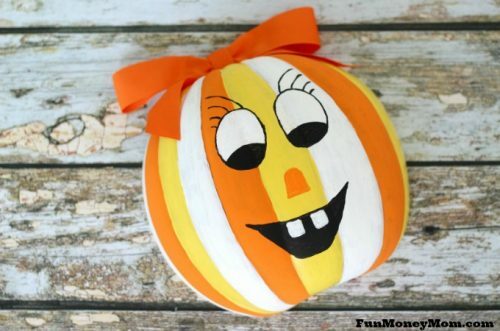 I can’t seem to help myself and I’ve made yet another candy corn recipe (and even a candy corn pumpkin bowl)! It’s just so good, and since we only get it this time of year, I’m going to take full advantage. 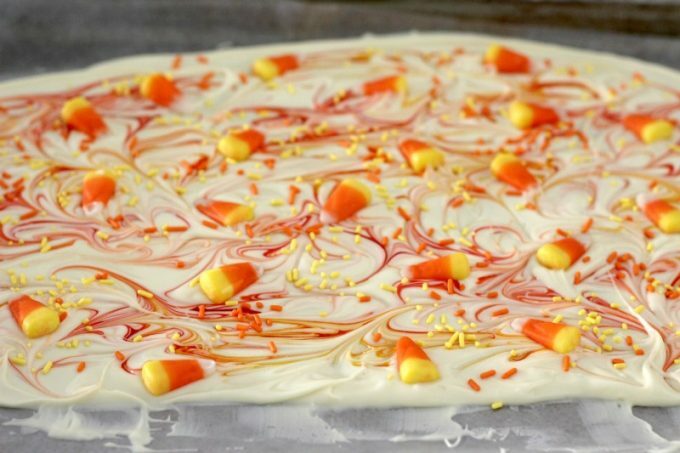 What makes this Candy Corn Halloween Bark so awesome? It’s simple, only requires a few ingredients and is absolutely delicious! Want to make some for yourself? 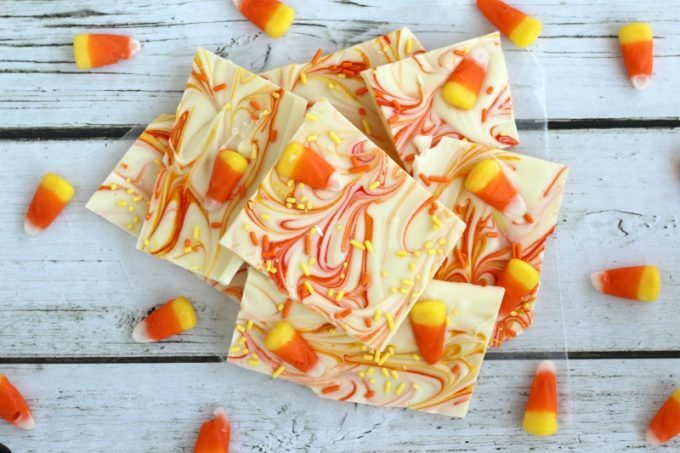 All you’ll need is some white chocolate (I used three 4 oz bars), yellow and orange food coloring, yellow and orange sprinkles and of course, candy corn. 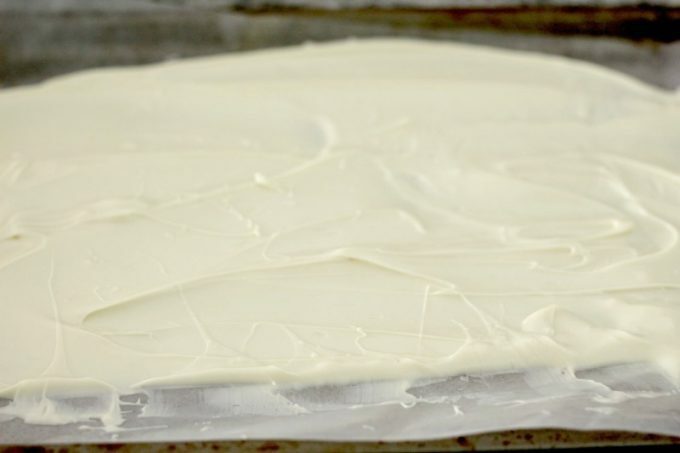 Before you start melting your chocolate, line a cookie sheet with wax paper. Though it says on the box that you can melt it in the microwave, I get better results when I use the stove. If you have a double boiler, perfect. If you’re too cheap budget conscious like me to buy one, there’s an easy alternative. Fill a saucepan with about an inch of water, place a bowl on top and melt your chocolate in that top bowl, stirring frequently. When the chocolate is completely melted, pour it onto the wax paper lined cookie sheet. 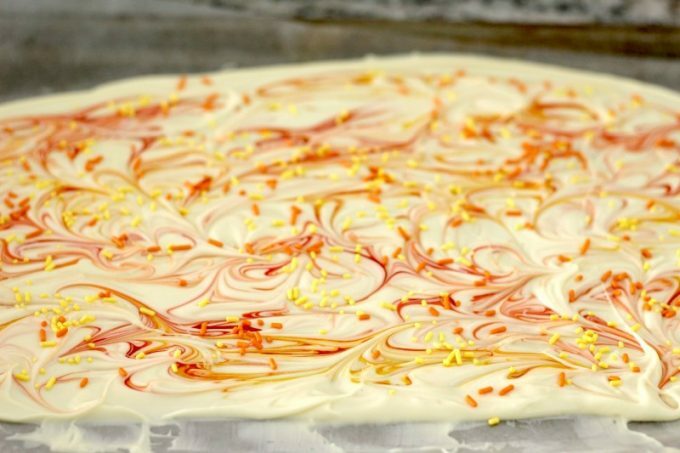 Next, add drops of orange and yellow food coloring and use a toothpick to swirl them through the chocolate. 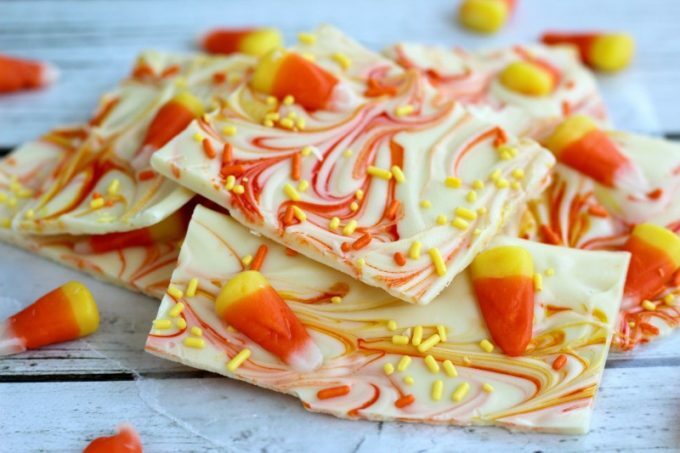 …and it wouldn’t be Candy Corn Bark without the candy corn. Now comes the fun part…it’s ready to eat! This melt in your mouth bark is perfect for a Halloween party or even a fun BOO basket. Who would you share it with? Love candy corn as much as I do? Check out these recipes! Haha candy corn for the win! These do look delicious though, my sweet tooth is awake now! 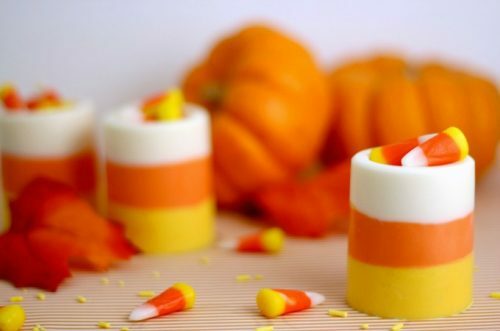 Candy corn is so delicious! 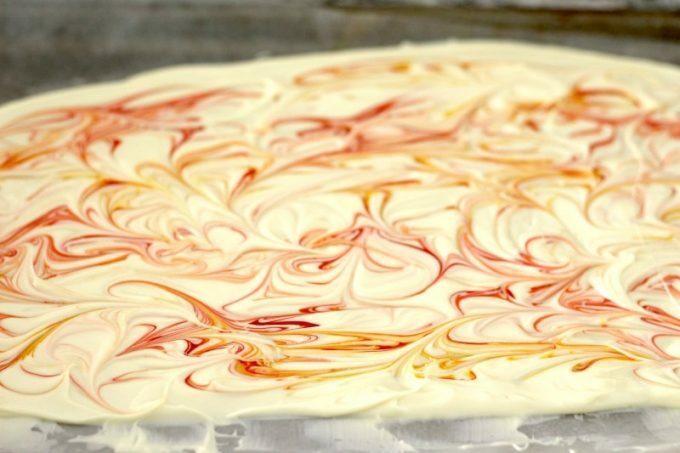 I have never tried making sweets with it, but this bark looks so good and its pretty, too! I love the bark it’s so pretty! 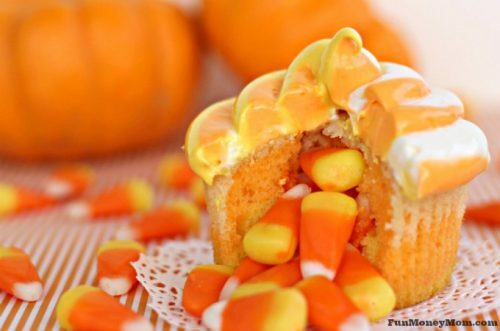 I may have to go get some candy corn today and try this before Halloween is over and it’s all.gone! It was so much fun to make. I’m already missing candy corn!